Come and join us for this Jamboree which continues to remember the impact that Domenic Mobilio had on the soccer community. 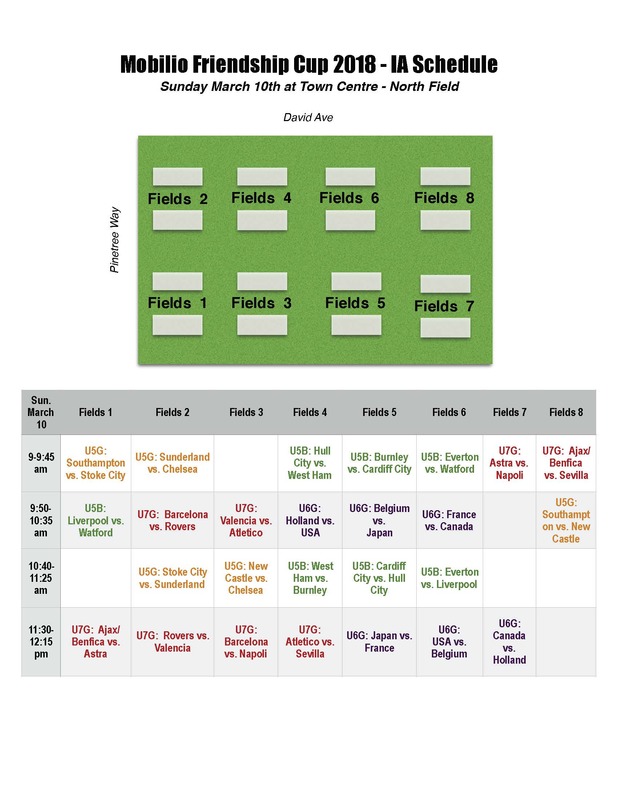 The 16th Annual 2019 Mobilio Friendship Jamboree will be held March 9th and 10th and will be open to U8-U10 House and Development teams and U11 - U12 House teams. The jamboree will only be offered to CMFSC teams and not open to teams outside of CMFSC to register. No registration required as all CMFSC Mini House Teams are expected to participate. All matches will be hosted at Coquitlam’s Town Centre Park. All matches will be 2 halves of 25 minutes each. All players receive a dry-fit tee-shirt. There will be a first-aid tent on site, set up to deal with basic injuries. Due to weather - the Mobilio Jamboree has been moved indoors for U8-U12 teams. Please click here for Mobilio Gym Schedule - March 9th schedule and here for Mobilio Gym Schedule - March 10th schedule. 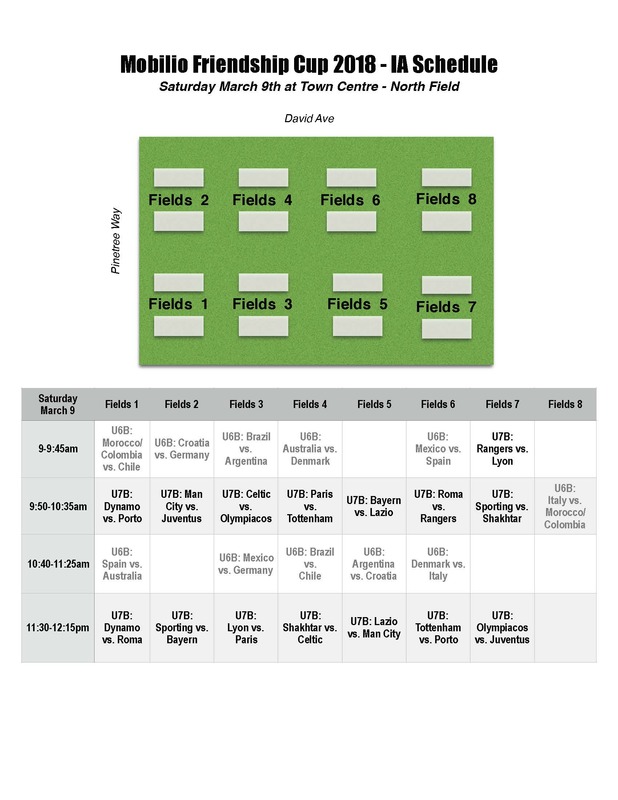 Mobilio Friendship Tournament U8-U12 Info will be posted soon!